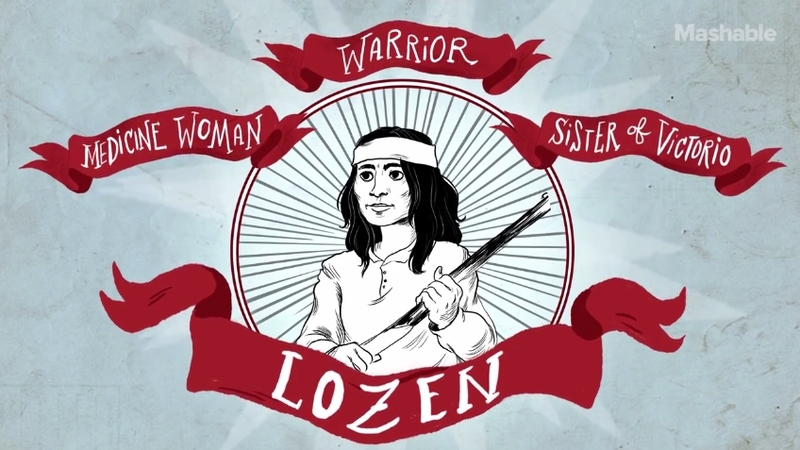 Lozen's incredible skills and eventful, tragic life earned her the nickname the "Apache Joan of Arc." This Native American warrior was a Chihenne Chiricahua Apache medicine woman, a skilled fighter and strategist on the battlefield, the sister of a prominent Apache chief and ally to the famous Geronimo. Even as a child, Lozen demonstrated prolific abilities beyond her years. Many other Apache women's roles were being in charge of the home and community, but Lozen was more interested in the art of war. She became a medicine woman and warrior — a role not very common (although not unheard of) among her people. As an adult, she often fought alongside her brother Victorio as his right hand to protect their people from the U.S. government encroaching on their lands. She could ride, shoot and had a gift for strategy. Lozen’s talents soon became the stuff of legend. Whenever the Apache needed to know how to plan an attack, she seemingly had a supernatural ability to predict where the enemy was going to be and she would often pray to the Apache’s highest deity, Ussen, for guidance — hence, why she is so often compared to her European counterpart, Joan. The Chiricahua Apache endured unimaginable hardships due to raids and invasions from the U.S. military. Lozen's tribe often had to move from place to place for survival. Even during these skirmishes, Lozen sacrificed everything to protect her community. One enduring legend is that she once delivered a baby in the middle of the desert while U.S. cavalry was chasing after their tribe. In 1877, she and her people fled the San Carlos Reservation where they had been living in intolerable conditions. This place was so bad, it was called “Hell’s Forty Acres.” Between 1877 and 1880, Lozen and Victorio had lost nearly half of their people in skirmishes with the U.S. and Mexican armies that had taken over the surrounding lands. 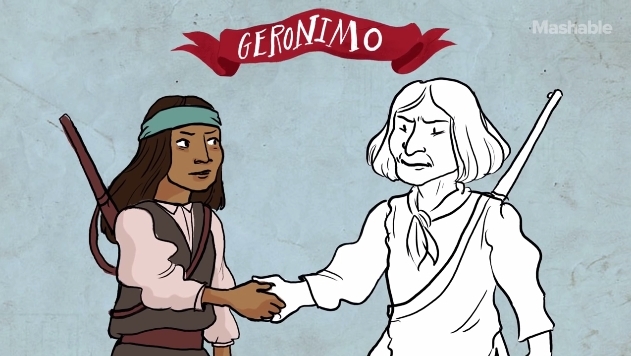 After the raids, Lozen spent six years with another famous Apache leader, Geronimo, until he surrendered to the U.S. government in 1885. Lozen and other Apache leaders were imprisoned at a military arsenal in Alabama. She passed away of tuberculosis in 1887. In history class, we're often taught about the same people: George Washington, Abraham Lincoln, Christopher Columbus and his boats (sometimes several times over). But Lozen's story isn't just important to her own people, it's an essential piece of American history. Responses to "Lozen: The fearless Apache warrior woman you've probably never heard of"
Buchanan, Kimberly, Moore. "Apache Women Warriors". El Paso: TX UP, 1986.Print. I knew about Lozen, My Grandfather told me how she fought along side the men, a fierce and brave warrior, she was.